WEST LAFAYETTE, Ind. - Purdue University is pleased to announce the Spring 2015 Presidential Lecture Series, an ongoing series of diverse lectures on policy, leadership, culture and society. The series will feature prominent experts and practitioners from various fields of interest for both academics and the community at-large. Connected with each public presentation, speakers will be integrated into relevant curricular activities on the West Lafayette campus during their visits. "The series brings some of the world's top visionaries to Purdue to share their expertise and enhance our intellectual opportunities on campus," President Mitch Daniels said. "It's exciting for us to be able to offer such opportunities, as represented by our upcoming speakers, to the campus community." 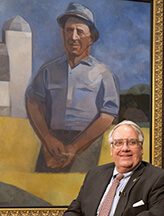 Howard Buffett: "Challenges and Solutions to Achieving Global Food Security." March 12, 6:30 p.m. Stewart Center's Fowler Hall. Along with President Mitch Daniels, Buffett will discuss challenges and solutions to achieving global food security as well as his book "40 Chances." In addition to managing the Howard G. Buffett Foundation, Buffett oversees farms in central Illinois and Nebraska and oversees three foundation-operated research farms in Arizona, Illinois and South Africa. He has traveled to 130 countries and authored eight books on conservation, wildlife, and the human condition. 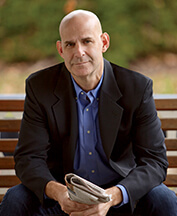 With his last six novels, including his most recent book, "Six Years," debuting at No. 1 on the New York Times Best Seller List, and more than 50 million books in print in 42 languages, Coben will share writing tips, inspiration, how-to's - and the insecurities that plague all writers. His most recent novel, "Missing You," was released in March 2014. Other speakers may be added on an on-going basis. Todd Wetzel, director of Purdue Convocations which assists the Office of the President with the series, said, "One of the unique opportunities we have with this series is that President Daniels' network is so broad, there are always individuals who are conducting business in Indiana or elsewhere such that a meaningful visit to Purdue can be arranged, even on a shorter timeframe. The magic for Purdue is that we can capitalize upon these opportunities."